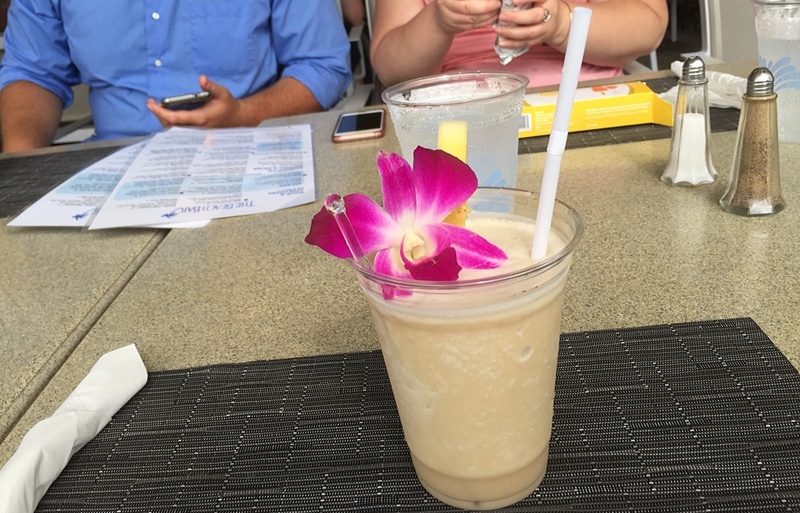 I enjoyed my Pina Colada straight-up. 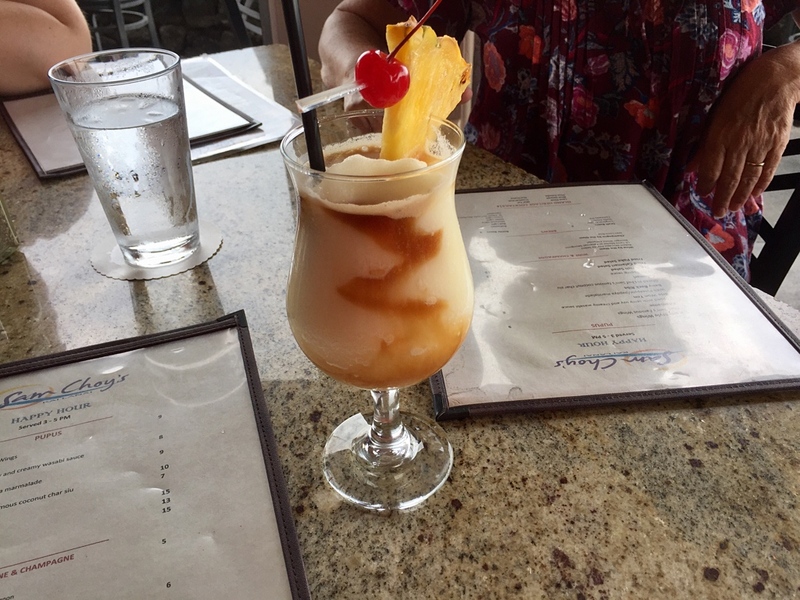 Karen got one at Sam Choy’s with a special jolt. 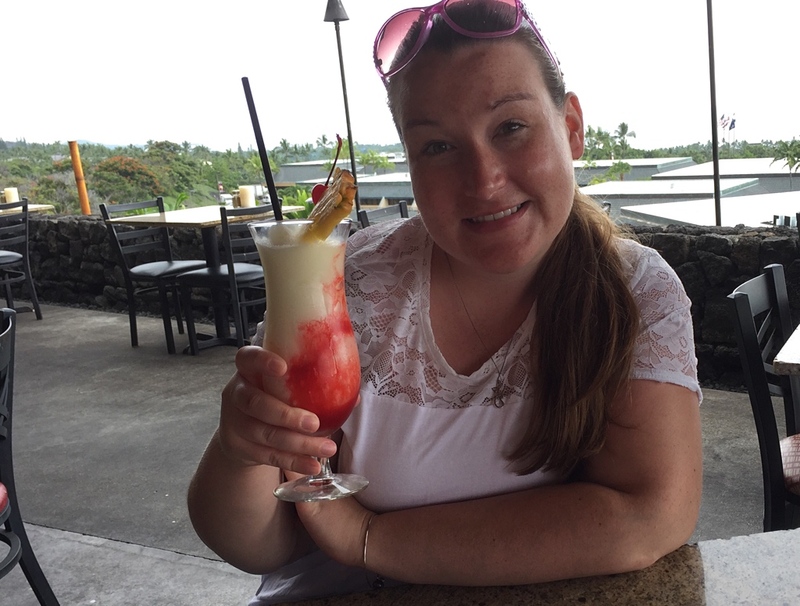 Elisabeth’s was called a Lava Flow because it was better off red. 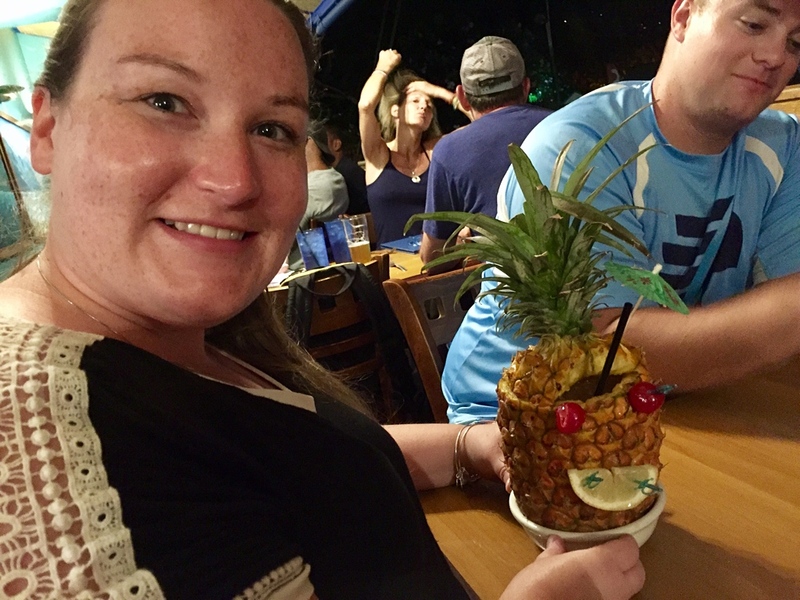 Elisabeth appreciated some sort of drink inside of a pineapple. And then there was this special dessert Elisabeth ordered at Drew and Maritza’s wedding dinner. Once in a while, I wasn’t in the mood. 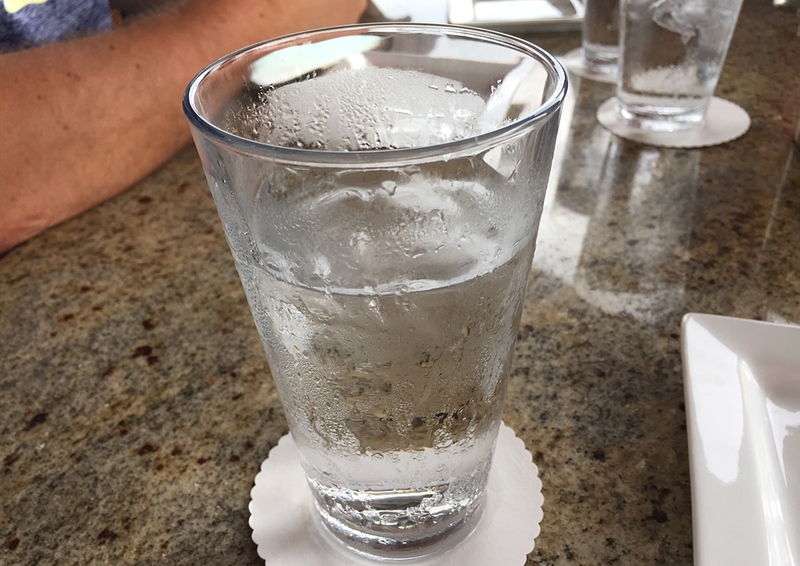 They have tap water on the Big Island. But the happiest reaction came when George received the Back Scratcher at Drew and Maritza’s wedding dinner. It didn’t even matter how it tasted. Nice selection of beverages! Refreshing. 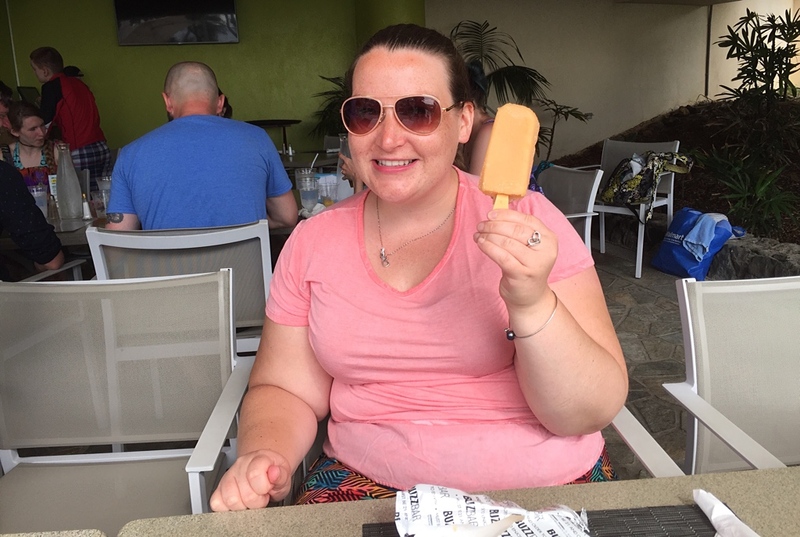 I would LOVE to drink my pina coladas out of a pineapple! I had water at every meal even with another drink, Joey! hahahahaha i love the back scratcher! A useful bar gift right in the drink, Beth! 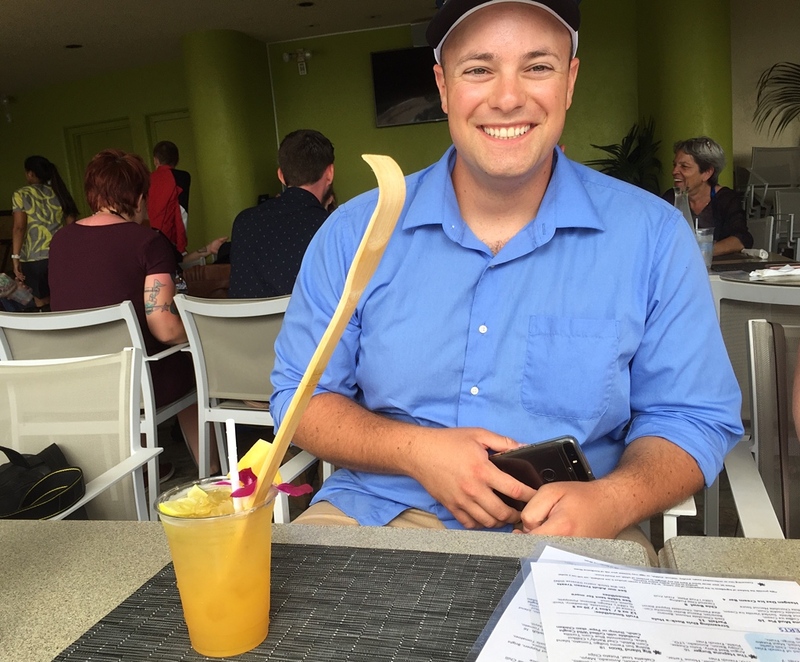 Hands down….back scratcher is the winner for fun. But some of the others look good enough to eat for dessert! Yes, for sure, Apple Pie!